While it is easy to assume short-haired dogs only need an occasional bath, they actually do need a little more. 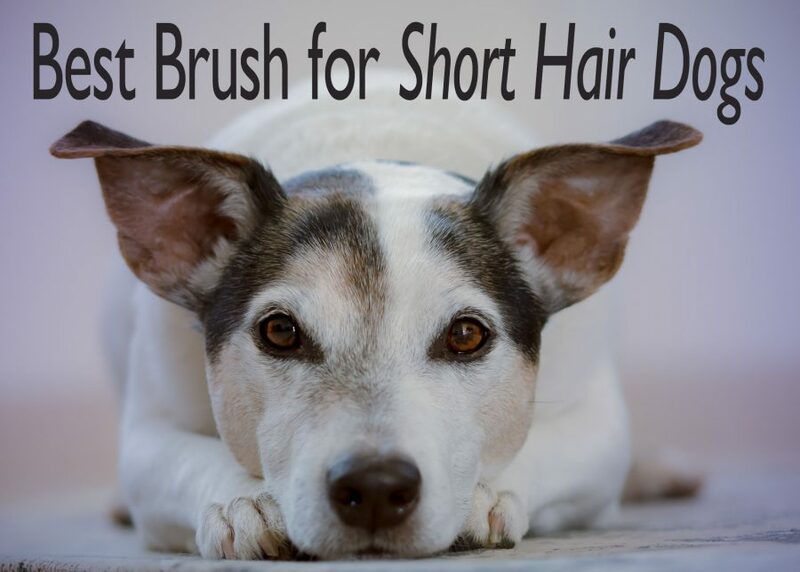 Short-haired dogs do shed year round, therefore they do need to be brushed. 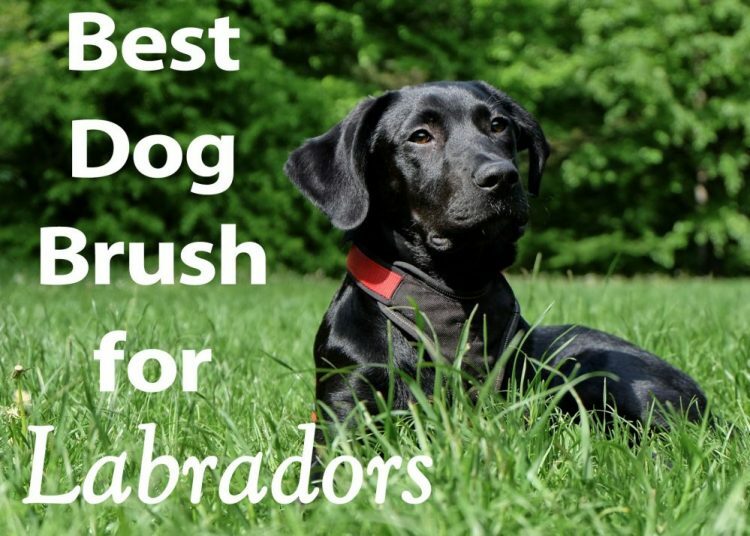 There are so many useful dog tools, like combs and brushes out there to choose from. 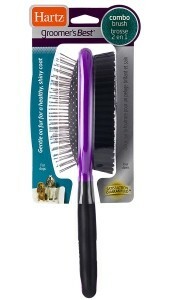 To get the best results, you will want a brush that is designed specifically for dogs with short hair. We researched and tested an assortment of dog brushes to determine which ones work best for short hair dogs. Short hair dogs have a coat length of one inch or shorter. Their hair should be straight, smooth and close to the body. 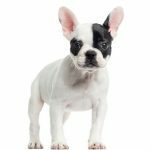 Examples of short hair dog breeds are; Terriers, Great Dane, Boxer, Pug, Rottweiler, Beagle and Bulldog, just to name a few. These short-coated breeds still need some grooming, but are considered low maintenance. 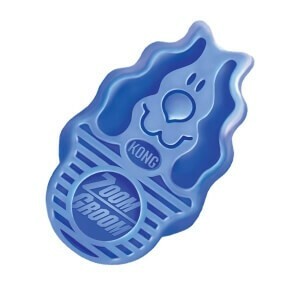 The ZoomGroom by Kong is great for grooming and shampooing. It removes loose hair like a magnet, while stimulating capillaries and natural oil production for healthy skin and coats. ZoomGroom brushes are effective for all dogs and coat types but works great on short hair breeds. Regular use will greatly reduce shedding. 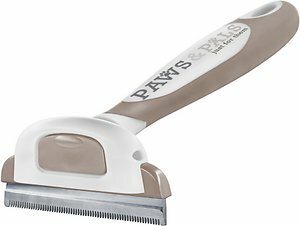 The Paws & Pals de-shedding and grooming brush features a sturdy stainless steel blade that gets deep into your dogs’s coat. This tool works for both cats and dogs by removing loose hair and dander from their coat to help prevent matting. It also helps reduce shedding by 90% as well as odor, without irritating the skin. The comfort grip handle is ergonomic, and is designed to fit easily in your hand for maximum control without strain or fatigue. 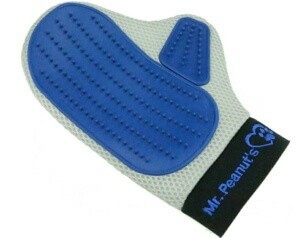 Mr. Peanut’s Grooming Glove is easy to use on all types of coats and ideal for daily grooming. The soft rounded silicone tips gently work to remove tangles and matted fur while lifting dirt and dust. It is good for quick use and is effective on not only on dogs but on, horses, bunnies and cats. It is also machine washable for easy maintenance. 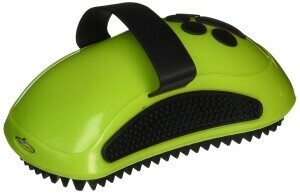 The FURminator Curry Comb is ideal for short and medium coat dogs. This comb works to remove dust and loose hair from your dog’s coat. 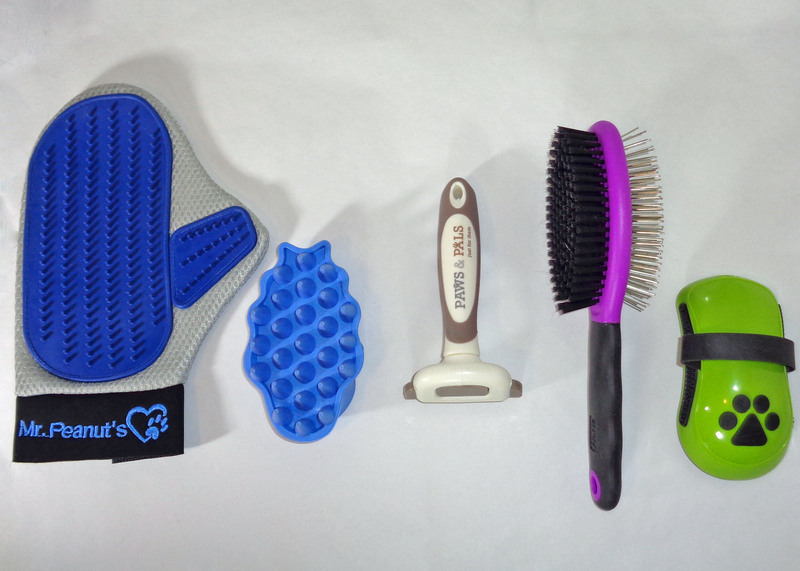 The Curry Comb features molded rubber teeth that stimulate the production of natural oils and promote coat health. The handle has a simple ergonomic design for a secure and comfortable grip while you brush. All types of dogs require grooming, regardless of their coat length. 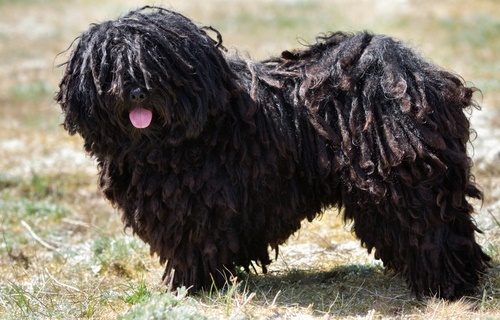 Normally short hair dogs require less grooming than a long haired dogs but brushing is recommended once per day. Breeds with extra soft hair might need less grooming, but once a week is still recommended. Practicing grooming, means you will spread the natural oils in the skin through your dog’s coat and this will give him a healthy, shiny coat. Always brush the tail and the paws as well and always brush in the direction that hairs lie to avoid causing your dog discomfort.Grooming also keeps your dog’s skin healthy, reduces dandruff and frequent shedding. Grooming will also keep your house cleaner. All dogs shed except hairless breeds. Short hair dogs shed year round while long hair dogs tend to shed more seasonally. Neither sheds more than the other but shedding can be controlled by regularly brushing. This will help reduce the amount of hair your dog leaves behind on furniture, carpets, and clothes.Short hair dogs can also get mats if the coat is not brushed, clipped, and groomed properly. 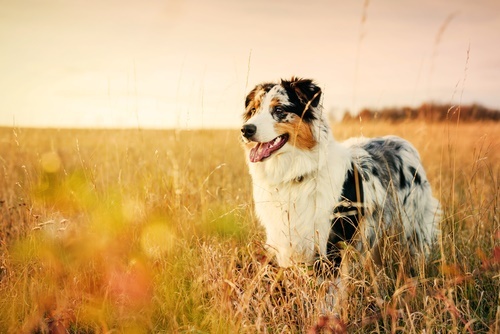 Some short-coated dogs are prone to contact allergies and after contact with bushes and tall grass may become itchy. The skin can become red or develop hives. Grooming is the most effective way to control shedding with your short hair dog. And while dogs with short hair might not need as much grooming as those with long hair, they still require regular brushing to maintain a healthy coat. This is why it is so important to choose a brush that works best on short hair dogs.